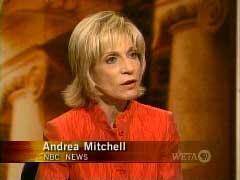 Andrea Mitchell On PBS 'Washington Week': American Media Not Pro-Hezbollah Enough? One of the most prominent and influential members of the Hizballah terrorist organization, along with two of his companies, was designated by the Treasury Department today under Executive Order 13224. Assad Ahmad Barakat has close ties with Hizballah leadership and has worked closely with numerous Islamic extremists and suspected Hizballah associates in South America's tri-border area (TBA), made up of Brazil, Paraguay and Argentina. . . .
Once again, it's left to the Blogosphere to ask the questions the media isn't interested in asking. UPDATE 11:59 EST: I've collected some photographs of what's proving to be the world's newest charity. They are quite amusing. UPDATE 13:35 EST: Ok, just when you thought it couldn't get any worse, we're now being introduced to Hezbullah Engineering, presumably the only company in the world that can deal with those nasty Zionist craters. The transparency of the anti-American, anti-Israeli press is really starting to shine. UPDATE 19-AUG-2006 11:50 EST: MechEng has pointed out that $100 bills should have a security seal embedded in them roughly where the Treasury seal is on the front, yet on the wires, we see the silhouette of a bill that does not appear to have such a thread. While not 100% conclusive, I'd say it definitely raises the possibility that these are, quote, "Phonier than a New York politician!" Editors' note: This post is the beginning of a new NB feature, the weekly recap, a way of summarizing some of the hottest and most-read postings for the week. It has been quite a diverse week in bias. Newsbusters Executive Editor Matthew Sheffield noted that a popular cartoonist took a racist swipe at Supreme Court justice Clarence Thomas, portraying him as the slave of colleague Antonin Scalia. Have you heard the news of the latest celebrity political pronouncement? For those living in a cave, Bernie Mac, Nicole Kidman, Michael Douglas, Danny De Vito, Bruce Willis, and a host of other celebs recently signed an issue ad taking a stand…against terrorism. Didn't hear about it? That's no surprise. According to Nexis, not a single American news organization other than Fox News Channel has covered it. Sabrina Tavernise reports from a village in Lebanon for Friday's "A Girl's Life Bound Close To Hezbollah," and honors the mantra of the terrorist group as a "social services network," just like her colleague John Kifner did on Wednesday -- and again, without using the word "terrorism." "Israel's goal of uprooting Hezbollah from southern Lebanon has frequently been questioned by critics who say the group is deeply woven into society and cannot simply be cut out. An afternoon with the Fadlallah family in this southern Lebanese village shows that the group not only is part of society, but also helps form the shape of life itself. Hezbollah or Home-Grown? Who Drew This Editorial Cartoon? A man labelled with a Jewish star laments that he can't blow up food and medicine being handed out to Arabs. Hezbollah is lauded for "building bridges" with people. Where does this editorial cartoon come from? A Hezbollah house organ, perhaps? Al-Jazeera? Maybe a fringe anti-Semitic group in the US? One quick question: Is it appropriate for photographers who are members of a group called Artists Against the War (or translated via google) to be sent into war zones to document the events as they transpire? And, even if Mr. Qusini were not a member of this group, would his objectivity still be called into question by his association with them? I mean, can we expect someone of that nature to be non-partial in their coverage of events? Can we trust that they'd be able to tell us the truth about something they're wholly opposed to? I'd certainly like to hear what you think, whether you're an interested observer, or are a wire photographer. Do memberships in groups like this affect the coverage you would expect from current events? After reading something like a recent story in the L.A. Times, one is struck with how little "news" or analysis is often included in the "news" paper, and how much evocative, emotive, fluff has replaced any attempt at informing the reader of what is really going on. Little Green Footballs found an item from the New York Sun about BBC reporter Orla Guerin. AP reporter Bassem Mroue runs a personal blog, and Nathan Goulding at NRO's Media Blog found that bashing Israel is one of his extracurricular activities. In addition, one of his personal blog posts resembles a posting made on the official "AP Blog." No Coverage of Hezbollah Casualties: All About the Money? On the ground, Hizbollah lost nearly 600 of its own personnel, and billions of dollars worth of assets and weapons. Ynet News, citing the IDF as a source three days ago, states that 530 Hezbollah members have been killed. If the Hezbollah deaths cited by StrategyPage and Ynet are correct and the AP's overall casualty count is close to accurate, then more than 60% of those killed were Hezbollah fighters, even as Hezbollah attempted to hide behind old women and children.